Here, you can create your own customized looks to apply to your images, and save those looks for future use. 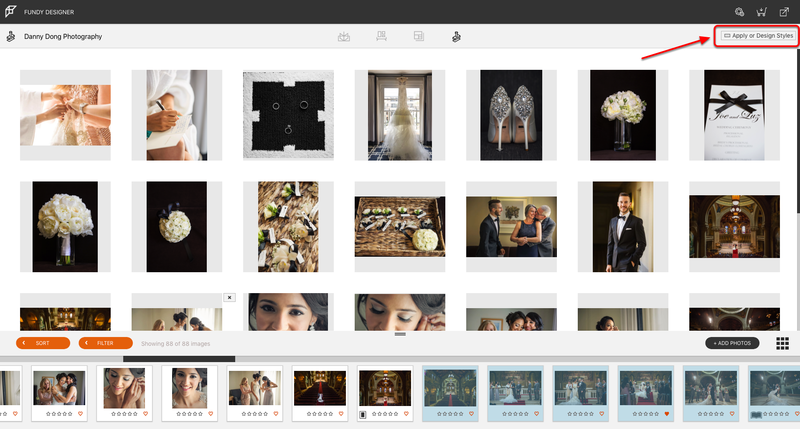 The Style you create will be available to preview on all of the images in the Planner View. These styles are also available to use in Blog Collage. Click the Apply or Design Styles button to open the Designer View where you will create a style or select a previously pinned style. All of the images in the queue will be available for branding. Select the Default Style you would like to use. 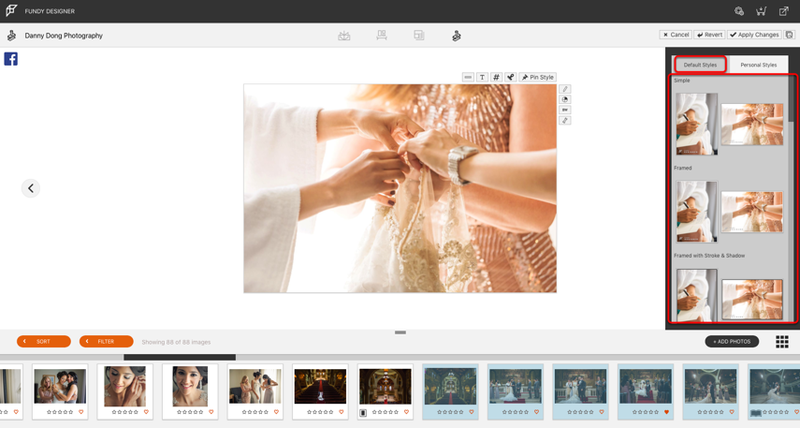 The styles panel will show you the first vertical and horizontal image in your Planner View so you can get a sense of how the style will look when applied. Keep in mind, you can make adjustments to customize your style after making a Default selection. Once you Apply and/or Pin a Style, that customized style will be added to the Personal Styles tab.